Rafting on a mountain river Length: 1 day from 5000 RUB. Reindeer herder's day 1 day from 2000 RUB. Hiking in the mountains Length: 1 day from 6000 RUB. Weekend tour - ethnic dinner 1 day/3 persons from 12246 RUB. Fishing and relaxing near the lake Tombaito Length: 2 day from 30000 RUB. 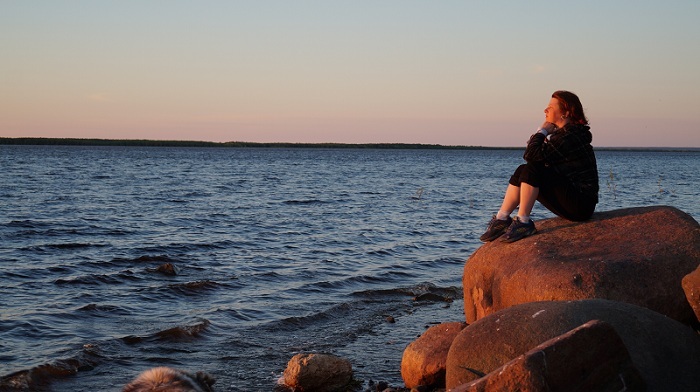 Homestay on the Yamal – living in a family Length: 1 day from 1500 RUB. The Northern Light. Visit Children of the Sun Length: 1 day from 2000 RUB. Weekend tour to visit Prince Taishin 1 day/3 persons from 6786 RUB. Get to know Yamal! 2 day/3 persons from 24570 RUB. Weekend tour - Historical Salekhard 1 day/3 persons from 7176 RUB. Weekend tour - "City on the Cape" 1 day/3 persons from 8112 RUB. Ethnotour - Yasavey 5 day/8 persons from 0 RUB. Booking of hotels. Any date of arrival. Length: 1 day from 1500 RUB. The season begins in mid-June and lasts until the water level is high enough to pass the thresholds. At this time there are still some ice blocks and the water, so it is very cold. The current is fast reaching up to fifteen kilometers per hour. The advantages of group rafting in the region are obvious. Tourists need only to bring clothes to change, arrive on time to the meeting place, listen to the instructions, get into the boats and catamarans and enjoy sailing through the beautiful mountain landscape. You don’t need even to row, the current is so rapid that it will quickly take you where you need. The rest like food, tents, boats, oars, life jackets, banya (sauna), sleeping bags and foam will be brought and installed by the organizers. When you come to the camp, the cook will make for you a special fish-soup over the campfire. Locals compete in national sports: throwing lasso, jumping over the sledge and triple national jump. Best deer teams are participating in reindeer races. Like hundreds years ago, tradesmen sell their goods - colorful cloth, shining brocade and dishes. Locals also offer their goods: deer meat, frozen fish, buckets of cranberries, cowberries and cloudberries. They bring to the fair traditional footwear embroidered with beads, souvenirs made of reindeer fur, beads and cloth. The whole day you hear the roar of snowmobiles, sounds of running deer teams, crying drivers, bells and ornaments on men's belts. You smell barbeque. Everyone can try sledge riding, all-terrain vehicles and drink tea in the Chum. The Polar Urals are not so dangerous to require special mountaineering training. But it is not so easy to be considered a place for walking. Hiking can be done in the glacier “Lednik Romantikov”, “Gora Chornaya” (Black Mountain) and Massiv Rayiz (one of the eight thousand meter high mountains of the Ural Paradise). At the top can always be a blizzard even when down the mountain it is summer. Visitors come here to walk to the waterfalls, swim in the lake of Love, drink from the purest spring, admire rare flowers and various lichens or hear the alarming cry of the Rough-legged buzzard, a predatory bird of the hawk family. Only in Yamal traditions are being kept in the form in which they existed centuries ago. And to see the ancient way of life, you do not have to go far. Traveling reindeer breeders put sometimes their Chums close to the city. To visit Nenets family, try raw meat, taste fish, see the thousand deer herd and feed the deer with bread - this is why Salekhard worth seeing! Included in the price Transport service, excursion service, ethnic dinner. Traditionally dressed hostess meets the guests and immediately escorts to the Chum. You will not see here diverse design interior. The Chums are arranged in exactly the same way in the entire Tundra like a hundred years ago unless the fire in the middle was replaced with a stove. The Nenets table is diverse and generous. Deer meat: boiled and raw. The fish: salted and boiled. You will always find stroganina, fish-soup (Ukha) and different kinds of berrries: cranberries, cowberries, blueberries, cloudberries. And a lot of tea, warmed in a huge kettle on the stove. Guests are taken to the herd. Deer are completely harmless and safe. They surround the visitors and put their soft noses into open palms waiting for delicacies. There is one tradition that you need to remember when you get together in a tent: you can not go into a dwelling with empty hands. Bring a small gift, and the owners will be grateful that you respect their customs. Yamal is the land with practically no roads, but with great variety of ways to move around like all-terrain vehicles, snowmobiles, reindeer harness, helicopter, motor boat or a small plane. Yamal is the land with practically no roads, but with great variety of ways to move around like all-terrain vehicles, snowmobiles, reindeer harness, helicopter, motor boat or a small plane. Besides, there are KAMAZ buses, quad bikes, and catamarans. You will discover severe land looking through the portholes, tiny steamy windows of all-terrain vehicles and thick dusty windows of ecological transport. There will be no buses with panoramic windows, but all these types of transport will take you to the places you hardly imagine. Visit recreation center of Lake Tombaito, located in the heart of Yamal, 243 km from Salekhard to the north. Cozy and comfortable houses with Russian sauna ("banya") with access to the river, quad bikes, boats, snowmobiles and fishing equipment are prepared for long-stay in this magnificent place. No heels, umbrellas and shorts but a good camera, curiosity and a couple of strong words will be appropriate. Yamal is for strong people. Lake Tombaito is waiting for you. * Price includes 2 days stay. Transfer price is available on request and depends on the season and the choice of transp. Not just explore, but feel the life of Northerners, feel like a Yamal for a few days! You can do it by living in a family in Salekhard. Locals will be happy to introduce you to the lifestyle of the citizens of Arctic Region. They will share their rich traditions passed down from previous generations as many of them grew up in the plagues and know firsthand what it was like to herd the flock, make a plague, cook the dinner on a small stove "burzhuyka", sleep under the canopy and hand-feed own deer "avka"
Despite the fact that many people from the tundra are settled now in urban apartments, they still respect their traditions. They eat raw meat, cook traditional dishes and dress children in national clothes. There is nothing more comfortable and warmer being invented these days. They also name the children by ancient names and keep Nenets dolls at home made with respect to traditions and rituals. People from tundra living in the city are connecting cultures of different generations. They are acquainted with city life with table clothes but they also know well the life in plagues with its smoke and sleeping in furs. Living in a family will introduce you to the traditional lifestyle so you can confidently say that you truly know Yamal. Late winter night, when the sky is full of stars and the air is cold, the children of the Sun come out for a walk. This is how some of the people of the Arctic call the northern lights. The Nomads found various explanations of this natural phenomenon of the Subpolar region. Some believed that this glow in the sky is the call of ancestors. According to their observations, some tribesmen seeing these dancing flashing colors in the sky begin to talk with non-existing people or even go to tundra not even realizing that. Some believed that these are gods illuminated the lights searching for the disappeared hunters. Others also claimed that these are higher beings but they just play a game similar to our football but with a skull of a walrus instead of the ball. There were also believers in misfortune of these green lights as well as the opposite one stating that seeing playing children of the sun is to get very lucky. People living today know about the origin of this amazing natural phenomenon. It's just a solar wind in the upper part of the atmosphere. However, even being explained the phenomenon has not ceased to be less poetic, fascinating and unpredictable. There are places in Yamal over the Polar Urals, in tundra, over the Ob where it is highly possible to observe the game of children of the Sun. Usually it lasts from the end of August until the end of April when nights become dark. The shining light can be brighter or duller. Having professional technical equipment, it can be photographed. Skillful videographers are able to film the night sky of the Subpolar. But no single photograph will give you the same amazing feelings you have while looking at these silently rolling greenish flashes across the sky. Everyone who gets the chance to see this majestic natural light performance carries out a strong belief: seeing the northern lights is definitely going to bring you happiness. Near Salekhard in the open air there is an ethnographic complex of the village Gornoknyazevsk. The guests are greeted by a tall wooden sculpture - the Khanty prince Taishin, a representative of the tsars power on Yamal. Included in the price Transport service, excursion service, entrance ticket, guest meeting with a shaman. The complex consists of several Chums made of deer fur for winter and canvas and even birch bark for summer. There are also traditional Khanty camps with all necessary equipment for hunting and fishing. Guests are happy to try on traditional clothes of indigenous northerners and tie ribbons on sacred trees. But it's not enough to visit this open-air museum. You have to walk through the streets of this tiny fishing village down to the river. You will find there the cottage and a storage room of Prince Taishin. It is stated that the buildings are more than hundred years old. They keep the memory of the original masters of these places. Yamal is long and narrow peninsula compared often with Nenets knife. The gulf of the Ob reminds you a boot. There is a joke that Italy was cut out of here and moved to the warm Mediterranean Sea. On the toe of this very "boot", near the place where the "blade" changes into the handle, stands the ancient Salekhard. Included in the price Transport service, excursion service, admission ticket, the certificate "Polar", dinner and night in the plague. Here, on the high bank of the Poluj, people lived a few thousand years ago. The town where we live in today was built already four centuries back. Salekhard became the capital of the richest gas region and was fully developed and renovated not leaving much of ancient times in a very short time. But it still remains small, cozy and comfortable for life. You can walk through the center within one hour. To the most remote city area you need only fifteen minutes. Can the inhabitants of big cities dream about it? Those who come to Salekhard for the first time are surprised to see such a modern city so far in the North. Indeed, Multistoried houses, built recently, are impressive. They look new and even a little unreal. Especially the summer night, when the bright sun is shining. But, unlike other cities that survived the explosive wave of growth, our is the mostly developed for life. You won’t find any more temporary residents who came to the North just to make money and quickly leave. People are settled down here, they live in families, with comfort and carefully pass photographs and family traditions from one generation to another. And they really love their city - the only city in the world on the Arctic Circle. Stela "The Arctic Circle". A symbol that symbolizes the unique geographical location of the capital of Yamal. Stela "The Arctic Circle". A symbol that symbolizes the unique geographical location of the capital of Yamal. The face and pride of the city. The stela is located on the bypass road, it takes about ten minutes to get to it, as much as photographing takes. A little further is another monument worth paying attention to - a locomotive of the times of the global Stalins construction, part of nordic railway (501-507 area) . It is established in memory of the victims of political repression. Weekend tour - "City on the Cape"
Included in the price Transport service, excursion services, entrance tickets. 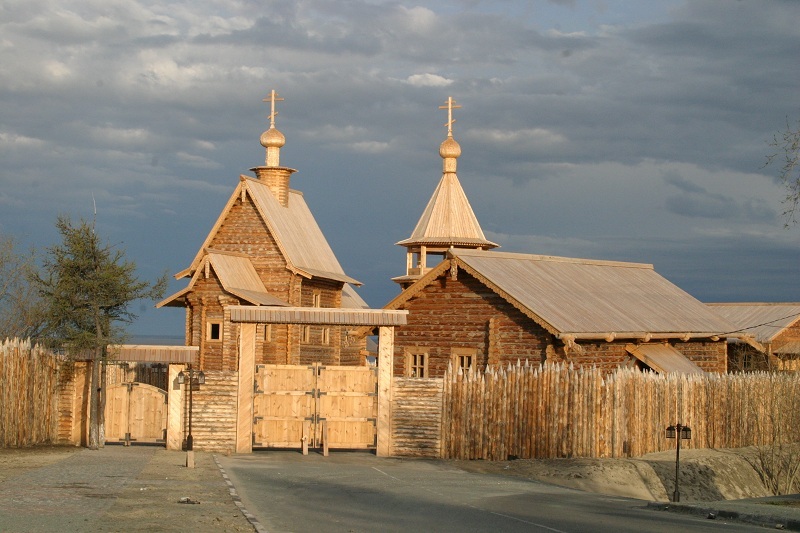 "The Land of Hope"- is the Orthodox camp in the foothills of the Polar Urals, a place where ancient northern national traditions and Orthodoxy are harmoniously combined. The camp stands in an open and picturesque place. Near the huge lake are several houses and "chums", a dining house, playground for outdoor activities. Without roads, without heavy equipment, a temple was built here. The idea of ​​organizing an Orthodox camp belongs to Anna Nerkagi, a Nenets writer and teacher. The place was chosen important, ancient: at the "crossroads" of winter and summer trips of several nomads families. First they created a temporary summer camp for their own children: eight foster children of Anna and eight of her sisters. Later they invited to spend the summer of the children from all over the Urals region, students from the Tobolsk Orthodox Gymnasium visited the sacred ground. The campground was in great demand among the nomads and tourists. For more than ten years, children have come here to learn the basics of scince, to join the Orthodox education. "Land of Hope" attracts tourists. On the coast of the lake, wooden houses for the bedrooms were built. It is not easy to get here - about an hour's drive from the Laborovaya factory on an all-terrain vehicle. But from here the differents routes are opened. Climbing the mountains, acquaintance with the places of residence of the mythical people of the sikhirta, fishing in the Gorno-Khadadinsky Reserve for exemple. And not so long ago, this distant point received the All-Russia Tourist Prize "Route of the Year" in the nomination "The best cultural and cognitive tourist route". Booking of hotels. Any date of arrival. Our partners: Hotel "Arctic", hotel "Yamal", hotel "Russian North", hotel "Azimut"
Yamal is a peninsula from children's riddle, a gas bridgehead from the energy reports of the big economy and finally the Earth Edge. The last name of this giant but little-developed territory is translation from the Nenets language. It is unique region that gave the name to the autonomous district with different time zones: from arctic deserts, storming Taiga, silver-haired Ural to Tundras' vastness, from silent lake mirrors to stormy streams of northern rivers. 770 thousand square kilometers of adventure, fishing, rafting with friends, meeting with the northerner's and getting to know their culture, way of life, celebrations, their warm hospitality , fast running deers and devoted huskies. Hiking Polar Ural, its icebrgs and waterfalls, hunting the Northern Light-souls of the North, mysticism of this ancient Earth will not leave anyone indifferent. Pure thoughts, will and passion for adventure, the Arctic character! Yasavey - the host of the peninsula - presents you YAMAL! Your guide to amazing places of Russia! 1. What tour you are interested in? 2. When do you plan to visit Yamal? 3. How many people are travelling? 4. How many days you would like to spend there?